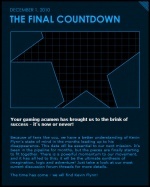 Your gaming acumen has brought us to the brink of success - it's now or never! Because of fans like you, we have a better understanding of Kevin Flynn's state of mind in the months leading up to his disappearance. This data will be essential to our next mission. It's been in the pipeline for months, but the pieces are finally starting to fit together. There is a powerful momentum to our movement, and it has all led to this; it will be the ultimate synthesis of imagination, logic and adventure! Just take a look at our most current discussion forum threads for more details. 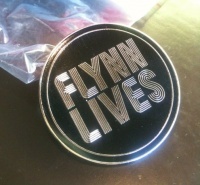 The time has come - we will find Kevin Flynn! 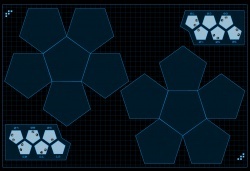 This puzzle required moving pentagon objects into place within the larger template, but in the proper locations. 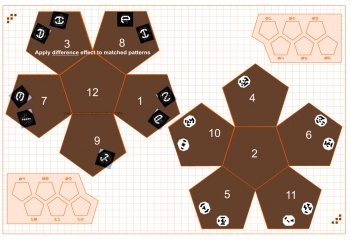 Squares located in the upper left and lower right corners would provide a guide for the placement of the pieces. 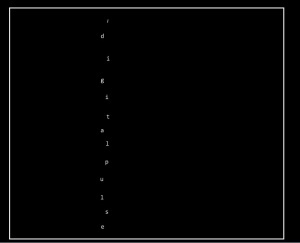 The Epiphany puzzle page displayed a series of lines from one of Kevin Flynn's books scrolling horizontally left and right. 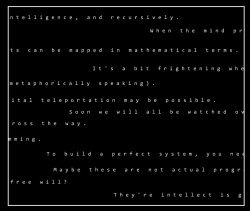 They seem to act with intelligence, and recursively. When the mind processes a thought, its synapses flutter at fantastic speeds. Whenever humans perform and activity, their movements can be mapped in mathematical terms. It's a bit frightening when your work takes on a life of it's own. Sometimes, I get lost in the grid (metaphorically speaking). Quantum is the future of science. With it, digital teleportation may be possible. Soon we will all be watched over by machines. It feels like I'm on a precipice and I can see the promised land just across the way. They are starting to do things outside of their programming. 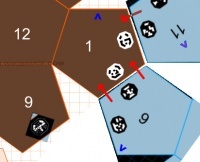 To build a perfect system, you need to have the perfect defence. Maybe these are not actual programs per se. Can a digital being manifest free will? They're intellect is growing at an accelerated rate. 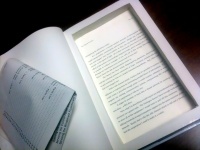 It was quickly discovered that the text could be selected and deleted. On doing this, very very quickly, a new phrase was revealed. 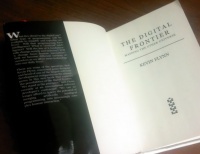 The remaining phrase spelled /DIGITALPULSE, which led to the discovery of http://flynnlives.com/digitalpulse . The web page also implied 16 cities would host an event of some kind in an effort to locate Kevin Flynn. 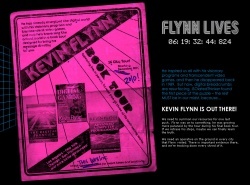 KEVIN FLYNN IS OUT THERE! We need an operative on the ground in every city that Flynn visited. There is important evidence there, and we're tracking down every shred of it. 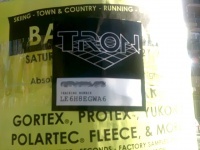 At 8am PST / 11am EST, the full list of 16 cities appeared, with pairs of cities being activated along with downloadable PDF instructions, every hour for 8 hours. Items retrieved from the ground event/livedrop.